ZF Aftermarket UK can offer training across all its markets to keep your technical teams up to date with the latest technology and information on ZF Products. Our car and CV training courses are fully IMI accredited and designed to give you both theory and hands on experience to enhance your product knowledge and develop your existing technical skills. For more information contact our Customer Services Team who will be able to offer you additional information and support on 0333 240 1123. Alternatively, go to our enquiry form, fill in your details and tick Training in the Type of Request drop down box: Contact. This course is aimed at garage technicians / mechanics for Car and Light Commercial Vehicles (LCV) applications. This two day course considers the key aspects of the transmissions operation and servicing requirements and covers basic diagnostic skills. This one day course considers the key aspects of clutch system awareness, illustrating the clutch functions, components and types through presentation, discussion and hands on tutorial. This one day course considers the key aspects of vehicle system awareness, illustrating the DMFs superiority above conventional dampers through presentation, discussion and hands on tutorial. DMF — why install it?, why need it?, how does it work? This course is aimed at garage technicians/mechanics for Car and Light Commercial Vehicles (LCV) applications. This two day course considers the key aspects of basic level safety instructions on the safe deactivation of the hybrid system and how to identify basic system faults and damage. *Please note proof of basic electrical skills is required prior to the course start date. Safety aspects for working on Hybrid Drive equipped vehicles. Practical activities under guidance from an experienced tutor. This one day course considers the key aspects of automatic transmission operation and covers servicing requirements for ZF automatic transmissions. Correct oil change processes for the 6HP transmission. The correct removal and refitting procedure for the mechatronic. Testing transmission oil for glycol. A look at future technology. The knowledge of how an automatic transmission operates, including torque converter operation and parts identification. An understanding of ZF automatic transmission lubrication requirements and the effects of using the incorrect lubricants. Knowledge of the correct process for oil changes. Strip and rebuild a transmission in order to better understand power flows. How to correctly identify transmission faults in order to ensure correct diagnosis. This course is aimed at garage technicians / mechanics for Commercial Vehicles (LCV & PSV) applications. This one day course considers the key aspects of modern steering systems and gives an insight into the developments currently taking place in both steering and suspension systems. This is done by both classroom and hands on tutorials. This one day course considers the key aspects of this steering system and gives an insight into the developments currently taking place in steering systems including the introduction of electrical systems into commercial vehicles. This is done by both classroom and hands on tutorials. The correct handling and installation of ZF Servocom parts. This course is aimed at garage technicians / mechanics for Commercial Vehicles (LCV) applications. This one day course considers the key aspects of clutch and Dual Mass Flywheel system awareness, illustrating the clutch and DMF functions, components and types through presentation, discussion and hands on tutorial. Concentric Actuation Systems and programming requirements are also discussed. Awareness of Concentric Actuation Systems, programming requirements and damage assessment. This two day course considers the key aspects of the transmissions design and operation, including associated components, the interpretation of errors, field experiences and basic programming requirements. This Ecolife course is aimed at workshop technicians/mechanics for Bus & Coach and Commercial Vehicle applications. This one or two day course considers the key aspects of the transmission operation, servicing requirements and basic diagnostic skills. This Ecomat course is aimed at workshop technicians/mechanics for Bus & Coach and Commercial Vehicles applications. Wayne has worked in the automotive Industry for 40 years. Originally trained as a heavy vehicle mechanic Wayne worked for numerous bus and truck companies and was self-employed for a period of 10 years. He was initially employed at ZF in the warranty team but also offered field support for commodity parts. As part of the field support activity eventually his role evolved to include product training. 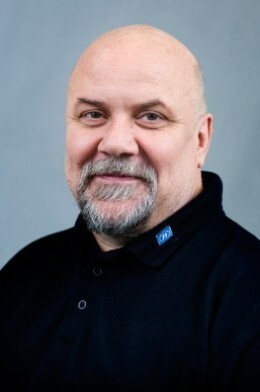 His current role at ZF Services UK involves the coordination and development of technical training courses and systems across the ZF product portfolio. This development is needed in order to meet changing market and technological needs both from ZF and our external customers. Ian is a member of the Product Support Team for car automotive and [pro]Tech. He also supports warranty for commodity parts and ZF Technical Training. 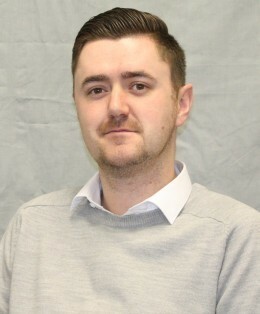 Originating from a military background then progressing through franchise main dealers in both truck and car markets he has 12 years experience within the automotive industry. Matt has worked in the Automotive Industry for over 20 years both within the OE and Aftermarket sectors. 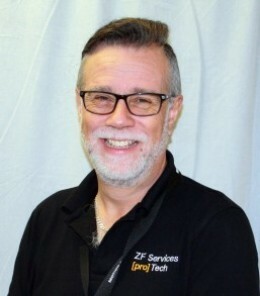 Working together with the Head Office functions in Germany, his role at ZF Services UK is to oversee the Technical Sales, Workshop Concept [pro]Tech, Technical Support and Technical Training functions for the Independent Aftermarket. Brian has been in the automotive industry for over 40 years, starting his career as a student engineer at Austin Morris (British Leyland) studying Electrical & Electronic Engineering. After working for the car manufacturer for nearly 11 years, he went on to work for several Tier 1 OE suppliers, involved with various vehicle components and systems. 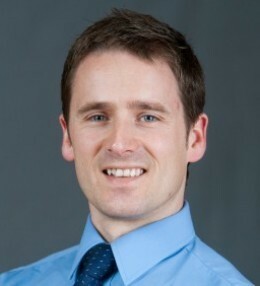 For the last 10 years or so, Brian has worked in the aftermarket sector, joining TRW as Sales Manager for diagnostics. More recently he has taken the role of Technical and Training Manager providing support across the TRW braking, steering & suspension product lines. His current role at ZF Aftermarket is to develop the [pro]Tech concept and manage the Field Technical Sales team. All relevant information on lubricants can be found on www.zf.com. If you're looking for installation instructions or special information about our products then use our service information to discover the documents you need. With a few clicks, you will easily find the contact details of the ZF Aftermarket locations in the ZF service network. Just as simple is your approach if you are looking for ZF Services partners or would like to obtain an overview where to procure spare parts nearby.